Our family recently took our annual fall trip to Estes Park and Rocky Mountain National Park. This is one of the most peaceful, relaxing trips we take as a family. Mary and I have been visiting Rocky Mountain National Park since the mid-90s, even before we were married. 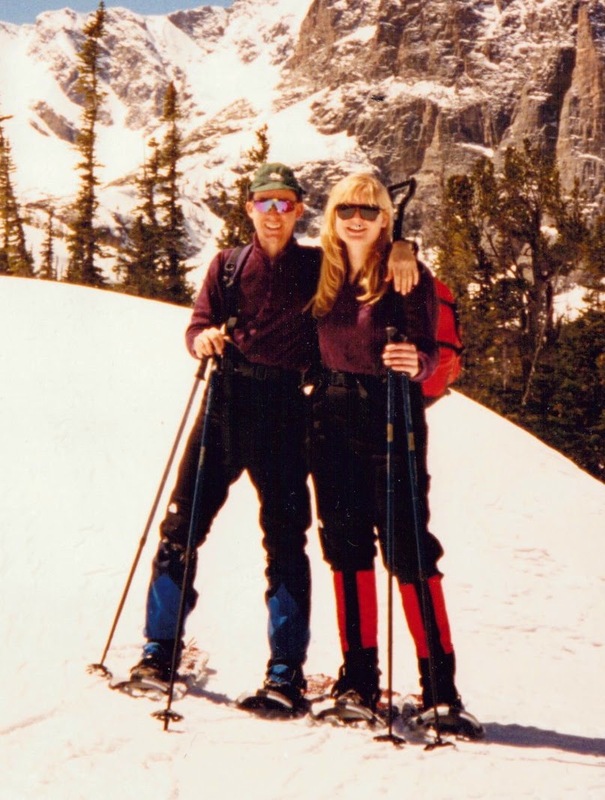 My favorite trip with her was in the winter of 1995, when we snowshoed up Longs Peak Trail to Jim’s Grove and beyond. There Mary saw her first Colorado ptarmigan. We've been coming here a long time together! Mary and I, winter 1995. These days, with three of our own children (and usually one of their friends) and our pup, Koda, we like to stay at the YMCA of the Rockies- Estes ParkCenter. There are lots of family and faith-based activities for the kids, the cabins we rent are cozy and extremely well-kept, and you can just about bet you’ll have a nice 6X6 or better bull elk grazing right next to the front porch. Our cozy family cabin at the YMCA Estes Park Center. My long-suffering wife, Mary, always lets me sneak away for most of one day to explore Rocky Mountain National Park. For me, that always means I’ll head out with a tenkara rod in my hand and a full day pack on my back. This year was no exception. 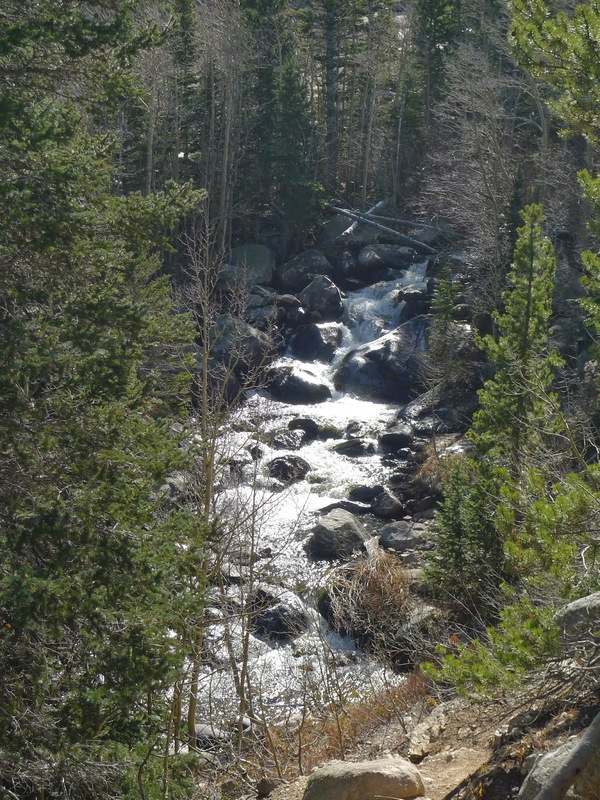 On our visit last year I fished Glacier Creek just above Sprague Lake and went upstream a ways. I also fished the Big Thompson River in Moraine Park, catching brown trout with bull elk bugling over my shoulder. I can think of few more beautiful places than Moraine Park in mid-October…trout and elk…two of the creatures I love most in the world. The view of Moraine Park this fall. With my fishing time even more limited this year, my first stop was Steve Schweitzer’s “A Fly Fishing Guide to Rocky Mountain National Park”. This extremely useful and very well laid out guide provided me with several options for a partial day of tenkara that was easy to access from our YMCA cabin. Monday, October 13th dawned clear and cold at the cabin, with the temperature just above freezing. Perfect! I headed into the park, with the upper section of Glacier Creek in my sights. My goal was to avoid the trail and streamside traffic lower on Glacier Creek, and concentrate on the section just below Mills Lake. I wanted a stiff hike and some solitude. I got both. I parked at the Bear Lake trailhead, which was packed with cars and tourists. Putting my head down and my legs into overdrive, I hit my three-mile-per-hour “power hike” pace. Once above Alberta Falls the trail traffic thinned out, the path narrowed, and the farther up I went, the more I enjoyed my hike. I flew right past good looking water, wanting to reach Mills Lake by lunchtime. I ended up at Mills Lake to find it cold and windy. I looked for trout in the pools just below the outlet, finding none. Just below the lake there’s a wonderful ltrough of water beside a sheer little cliff, but I found no trout there either. The view of Longs Peak from just below Mills Lake. Prospecting my way downstream from Mills Lake didn’t produce any brookies until I had gone below Glacier Falls. Once there, I started getting into fish, all brook trout in the 7”-9” range. These bends and pockets kept gifting me those wonderful little brookies for an hour or so, until I had to stop, bushwhack my way back up to the trail, and fly down the trail to my truck. It was a good day for a hike and a few hours of breathing thin, cold air and catching feisty little square tails. My Tenkara Times TRY 330 rod, sent to me by my good friend, Anthony Naples, who owns Three Rivers Tenkara. I’ve thanked you before, Anthony, but please accept one more kudo! Tenkara USA 3.5 level line. The TRY 330 REALLY likes this line for most conditions. If it had gotten any windier, I’d have switched to the same line in 4.5. My self-tied Killer Kebari. I got this pattern from Chris Stewart quite a while ago, several years in fact, and it never stops producing. I wish I knew how many Killer Kebaris I’ve tied for both my fly box and for others. My tried-and-true full-day day pack…a Kifaru Spike Camp. I’ve worn this pack through a number of seasons guiding tenkara trips in the backcountry, hunted elk and mule deer with it, and have taken it just about everywhere in my truck and on my back as a go-to piece of gear. You might as well bury me with this pack on. You might as well bury me with my boots on my feet too. They’re Salomon Quest 4D GTX boots, and they’re damned fine footwear for the backcountry. Thanks for reading! 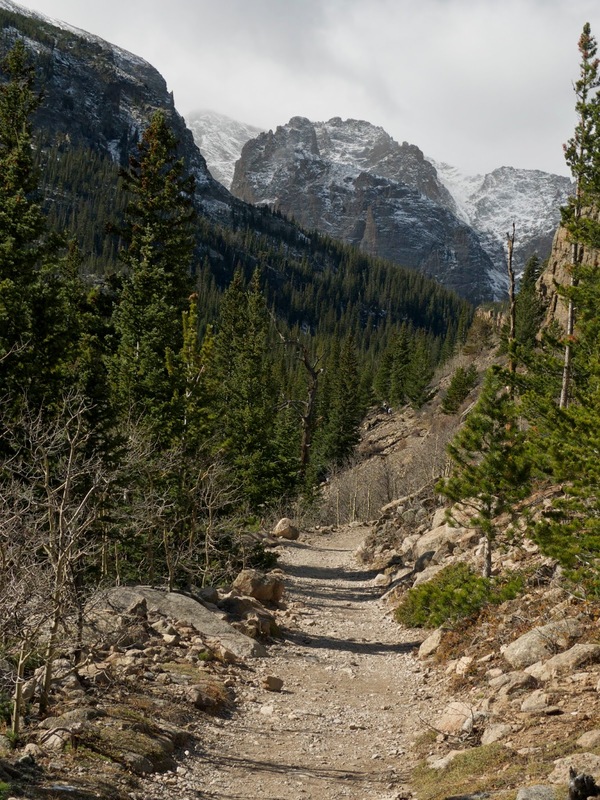 I hope you have an opportunity to visit Rocky Mountain National Park in the fall. It’s a short season of golden aspens, frosty mornings, screaming bull elk, and the last good fishing before winter arrives. PS: I've just received very good news! Tenkara USA will be hosting their annual tenkara summit in Estes Park, at the YMCA, in September 2015! Check the Tenkara USA website for upcoming details!